Located at 705 East New Haven Ave., Mainstreet Pub was opened on March 12, 2005 in historic downtown Melbourne. 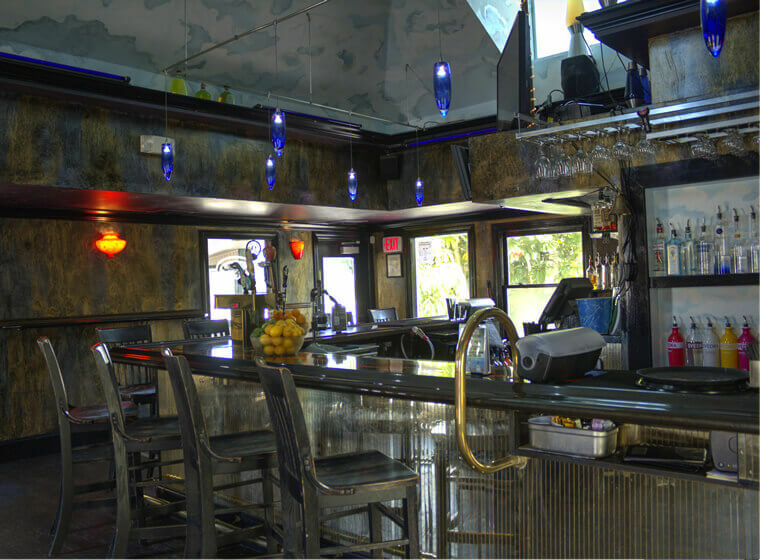 After over a year of repairs and remodeling, our vision of a fun, adult establishment became reality.With three different bars and atmospheres, there’s something for everyone. This also was the former location of the Kirchman Awning shop, The Green House Restaurant and Hemp Museum, and for a short time the club known as the Parker Bros.
Local folk lore tells us the Post civil war era brought pioneers to all of Brevard County. Many of these original settler’s family names today dominate in the names of city’s, schools, streets and parks. 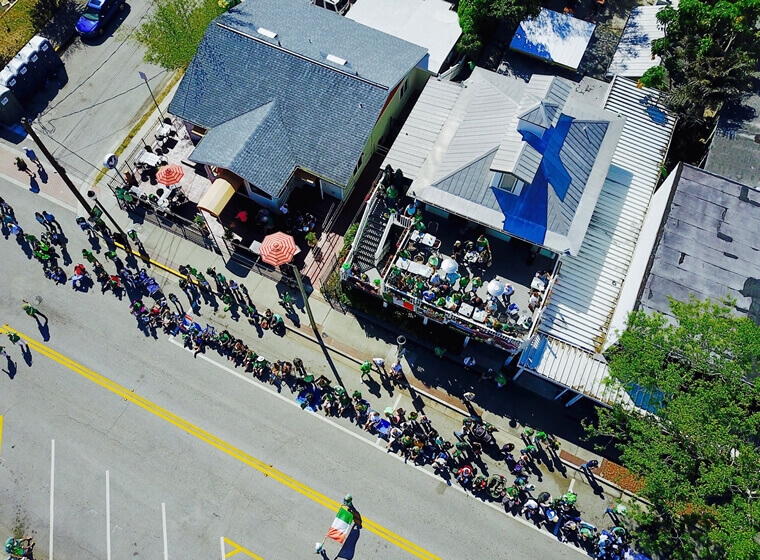 The new tides of people traveled up and down US-1 also known as Old Dixie Highway, in search of their new lives. Most of the buildings are gone, some the remaining ones have changed. 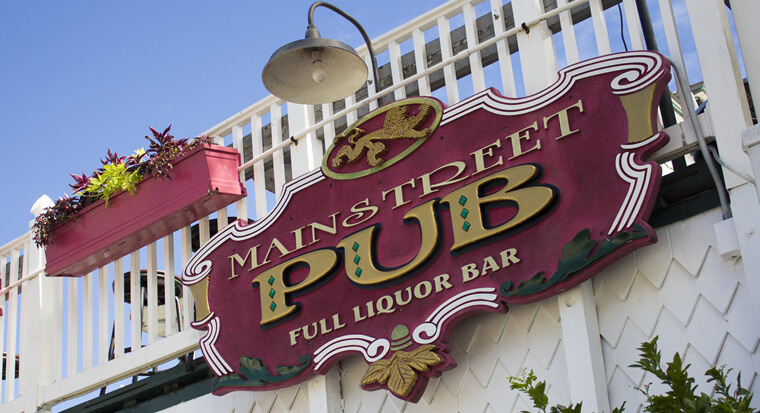 Mainstreet Pub prides itself on quality. All drinks are made with fresh fruit being juiced right in front of you. There’s no sour mixes here and you’ll be spoiled from the first sip! Not only does Mainstreet have all freshly squeezed ingredients (NO MIXERS!! ), but there is also a modern take of pub food. Our delicious menu consists of our flagship, a slow cooked roast beef sandwich, crab stuffed mushrooms, loaded tater tots, our always changing homemade soups, and lots more! This building here 705 East New Haven Avenue is supposed to have been built in 1947, however we now have evidence that the building is slightly older.The original owners say that it was more likely built around 1925, there is also an older story of this property, early travelers had tales of a plentiful well where they fetched the much needed water for their horses. These covered wagons would veer off the highway down the main street of the little town of Melbourne to the tried and true watering hole. The actual location of this original well is just behind the Tiki Bar here today known as Mainstreet Pub.